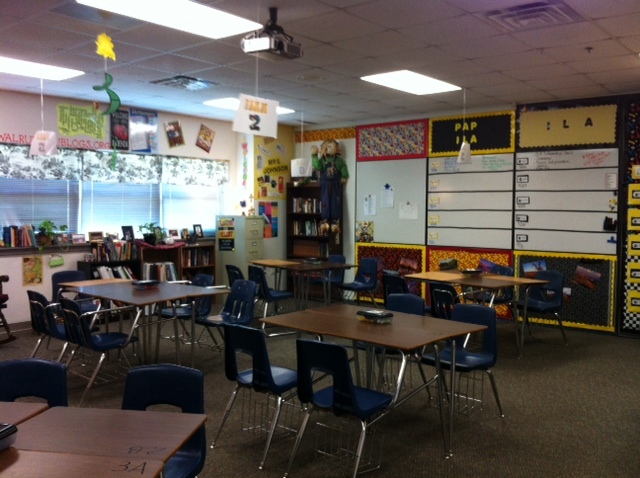 Here are some pictures of my classroom as promised. The black rectangles are chalkboard contact paper for more writing space. 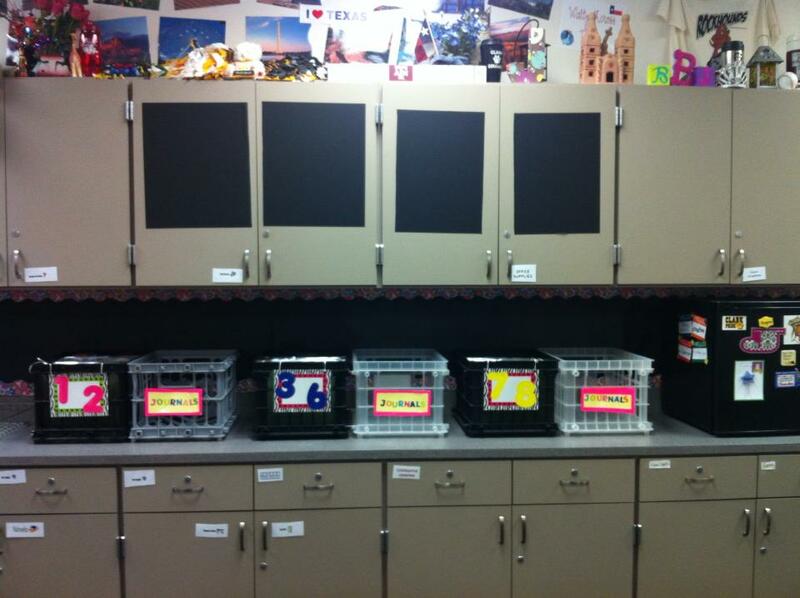 The crates will hold student journals and portfolios. 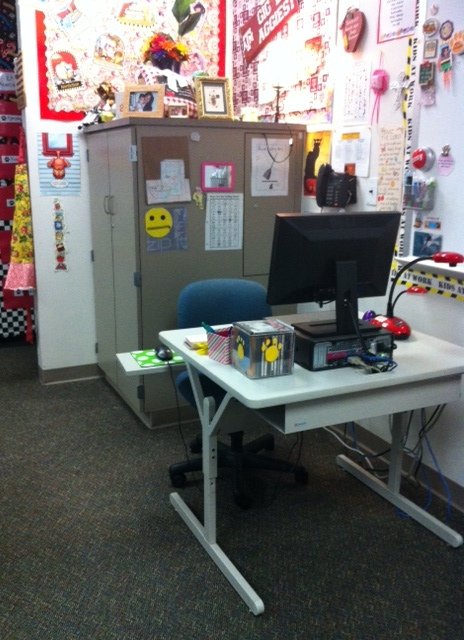 Students are to go to the folder for the day(s) absent and find their missing work. The collage of words on the right came from an idea I found on Pinterest. The students are told to be creative, loyal, silly, punctual, etc. 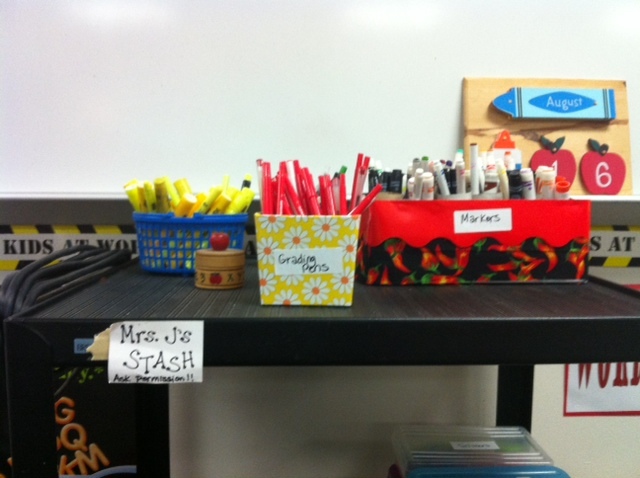 I keep extra red pens, markers, highlighters, and colored pencils on my stash cart. 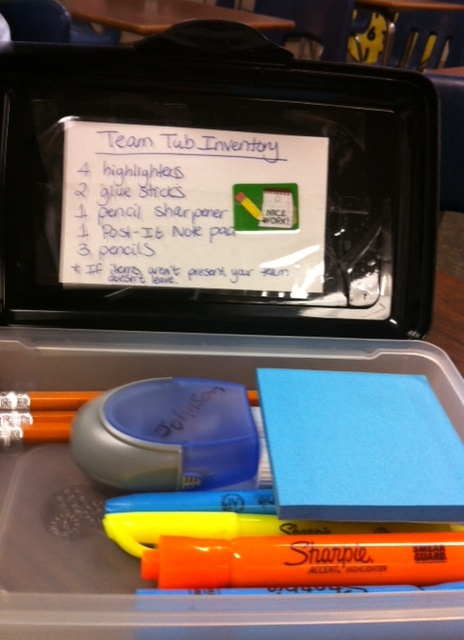 Students have had a habit of taking supplies from me and not replacing them. I am keeping an inventory of my supplies. Today was our final staff development time. We did our campus rotations about duty assignments, grading policy, etc. We had a convocation service this morning that was student-oriented in nature. The speakers were current or former students from my school district. The one who stood out to me was a young man who will be in seventh grade at a different middle school than where I teach. I will call him My Inspiration. I would LOVE to teach him because he has fire, wit, and an engaging message despite being born with cerebral palsy. The doctors told his parents that he wouldn’t be able to either walk or talk. He proved them wrong! He uses a walker to get around, but he has been practicing hard at home. He can now walk about fifteen steps on his own. His goal is to walk unassisted to receive his high school diploma. That is one graduation ceremony I plan to attend just so I can cheer him on. We saw a video clip of him making those fifteen steps. I was crying and cheering for him. I know that if I taught My Inspiration that I would learn from him instead of the other way around. It was a great reminder of why I get up each and every morning to go to school and teach young people. They are worth it! This particular young man touched me because I had an aunt who had been born with cerebral palsy. She never walked, but she was able to talk up a storm. Aunt Pat was a vicious Chinese checkers player and a fabulous artist whose favorite color was purple. Unfortunately, we lost her in May 2008, but her spirit lives on. I saw where M.I. was sitting and walked up to him, introduced myself, and said, “If I ever get to teach at the high school level, I am looking for you to be in my class!” I meant it. We had time working with our technology facilitator and learning about new apps to use with our students. The expectation is to try something new, not overwhelm yourself trying to do everything. I maintain a blog for my students and parents, a Twitter account, and use Remind 101 to send one-way text messages about what’s happening in my class. It’s helpful to know about the tools available. We spent time planning out the first two weeks of school as a grade-level team; it was a productive, meaningful time. I am looking forward to seeing my students on Monday morning. The adventure begins anew then. More anon. We were curriculum-focused today in our staff development. Because I am a perfectionist, I see the changes and new ideas and sometimes want to hide because I can’t do them all to make my kids’ education absolutely PERFECT. Ugh. I make myself crazy each fall wanting to do all and be all but knowing that I can only stretch so far without snapping into pieces. I am limited by time and energy only. Lots of ideas crowd my mind: learning targets, objectives, activities, assessment, authentic, and learning outcomes. I almost feel that I should have been reading up on the documents found in our lesson planning software weeks before today. Then I wouldn’t have felt behind the eight ball a little bit. I know that I needed to move about to keep my mind in motion instead of the traditional “sit and git.” Consider the artwork below in sync with some lovely tune from a 1980s hair band. I take no credit for it but use it in good humor. A good night’s sleep will get my perspective in order. Good night! Today was spent reviewing district and state-level mandated training during our staff development time. Tomorrow will be district-level meetings with the various disciplines scattered abroad. Our district continues to mushroom in growth, so it is a necessity. It was nice to see my colleagues again after our summer vacation time. 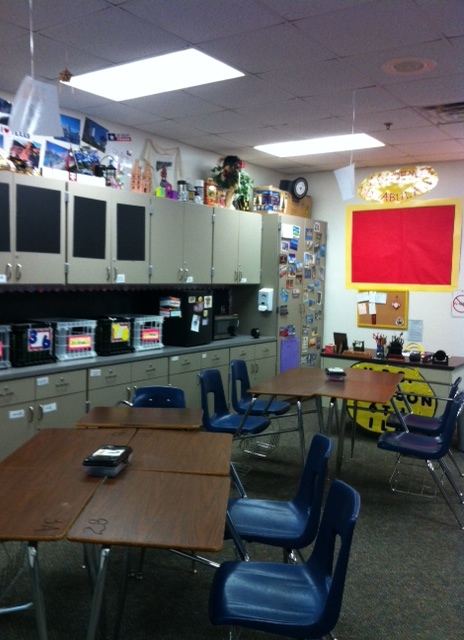 I have my classroom tidied up, but I just need to set up my desks for the Kagan initiative we implemented last year. They are matched in height but lack numerical labeling for the students to find their seats. I was fortunate enough to win a t-shirt during one of our fun competitions today. We did a contest called “Hanky Panky.” The object was to empty a full box of tissues with only one hand during 60 seconds. I was second place but a fierce competitor nonetheless. I am still pleased with my performance since this is not a skill I practice on a daily basis. Ha ha ha! 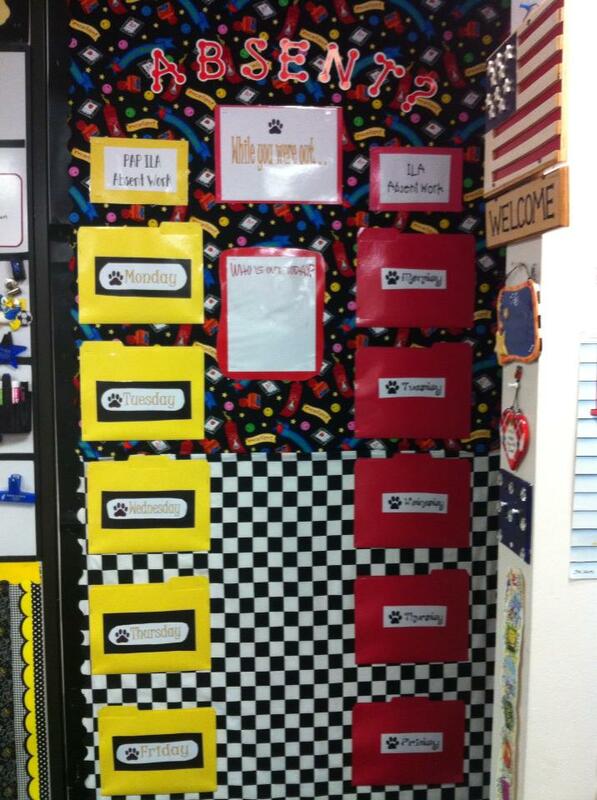 I have found some great ideas using Pinterest to update the decor in my classroom. 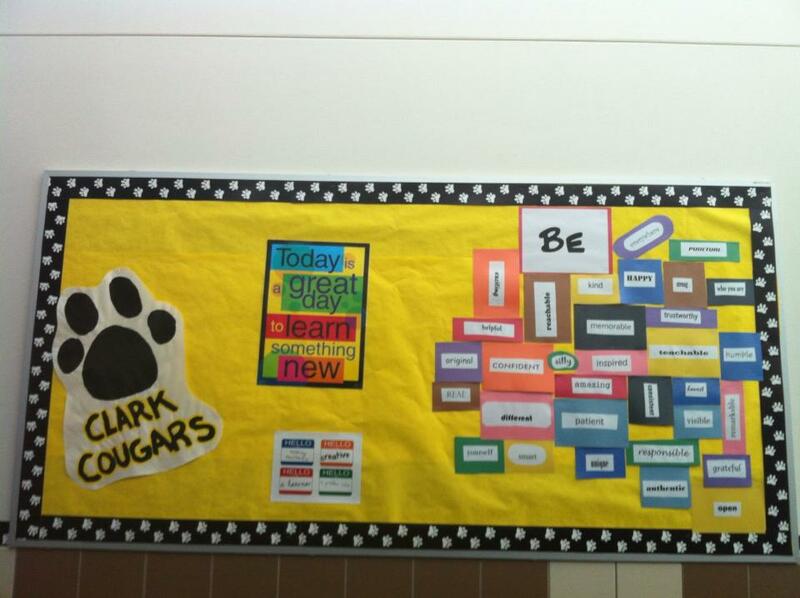 * It’s been helpful to freshen up my bulletin board outside of my door. My desk is clean save the Springboard posters I have to monitor our progress through a unit of study. I will be putting some finishing touches on my writing utensils organizer and start filling lockers in preparation for our sixth grade orientation. The process of nesting reminds me of my pregnancy with my son; I began tidying like mad during the last weeks before delivery. A new year means a new group of young people to teach, mold, and love. I am ready now. *I will add pictures once the final touches are added.